How do we to bring life to cities? Jérôme Lapierre, our architectural assistant and winner of Prix de Rome, offers his highlights from Jan’s recent winter lectures. While this change was taking place around the world, some streets, for instance in Denmark, started to get pedestrianized, like Strøget in Copenhagen and Houmeden in Randers. Jan realized that the most important scale is the people-scale, where we move at a natural pace of 5 km/h. This is also the scale in which human life unfolds and where all human senses are involved. Copenhagen as a city made many remarkable modifications to invite people to walk and cycle. It is in fact, the first city in the world where data was gathered, life in the city and its people was studied – to create a human scale city. Since these progressive changes began to appear, the ‘city for cars’ paradigm slowly flipped to a ‘city for people’ in the culture of the city and in people’s minds. The future looks very promising, since a new Danish architectural policy was published (February 2014), entitled ‘Putting people first’ – A strong gesture to Gehl Architect’s work improving the cities by focusing on the people. Another sign that these changes have had a positive effect, is the fact that Copenhagen was awarded ‘most livable city in the world’ several times by the magazine Monocle, most recently in 2014 (watch video below). 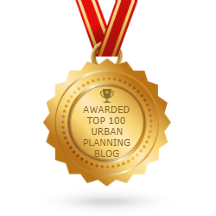 This proves that people-centric urban planning gets noticed for the positive impact on city culture and vivid urban life.